Dangerous, risky to be corrupt in Nigeria – Owasonoye – Royal Times of Nigeria. President Muhammadu Buhari has made it more dangerous and risky to be corrupt in Nigeria now than before. 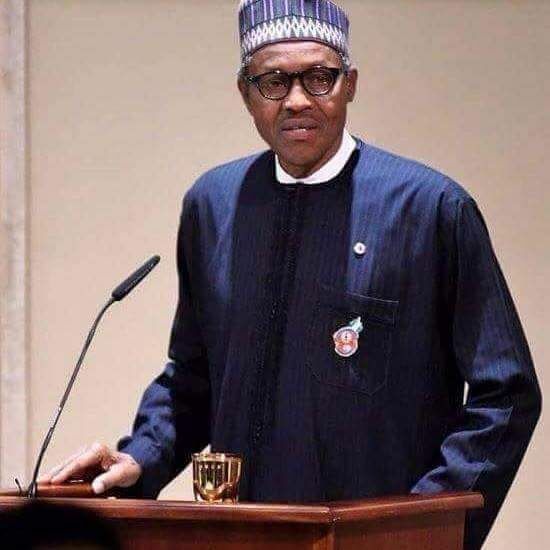 Prof. Bolaji Owasonoye, Executive Secretary, Presidential Advisory Committee against Corruption, said Buhari’s administration had not had any high-profile scandal in its three years. He told the Correspondent of the News Agency of Nigeria (NAN) in New York that , “in the life of a government that has spent about three years, you would have found by the third year many high-profile scandals’’. “Don’t look at generalisations when people say ‘oh, this is happening’ but there is no evidence of it or it’s been investigated and all that”. According to him, in the past, the most high-profile cases or issues of corruption were virtually traced to the seat of government when people claimed they got approval to do things. “How many people now, even if they are accused of being corrupt under this government, would say they got approval to be corrupt from the highest level?. “President Buhari has not been equivocal about his abhorrence and disgust of corruption. That does not mean that corruption is 100 per cent gone, no. “But we’re challenging corruption and using legal measures as best as we can to deal with it. “You just need to look at the number of cases that have been filed since the inception of this government, to understand, even if those cases are not concluded,” he said. Owasonoye, particularly, said the opening up of defence contracts by the Federal Government, was a bold step that had never been taken before in history except by Buhari. “I am not aware of how many countries where the government opened up defence contracts to say ‘this is what happened, this was wrong, this is the consequence, this is what we found’. “Nigeria is one example. Usually all over the world, defence contracts are sacred. They know there’s a lot of corruption in defence contracts but people don’t talk about it but President Buhari opened it up. According to him, huge recoveries in asset and money have been made in the current dispensation. “Sometimes as they say that ‘a prophet has no honour at home’. The world recognises what President Buhari is doing much more than Nigerians recognise what President Buhari is doing. “We are very cynical people, we have been disappointed many times. So one can understand when people are cynical, sometimes they say ‘oh, nothing is happening or nothing will happen. “But to the extent that the African Union and President Buhari peers recognised and chose him as the AU Champion for anti-corruption, surely there must be something they have seen, which is positive. “They didn’t choose any other leader, they couldn’t have chosen some leaders that we know in Africa. But they chose him”. Owasonoye, who is the nominee for the Independent Corrupt Practices and Other Related Offences Commission (ICPC), advised Nigerians to support the government in its anti-corruption crusade. “From where I sit, I can tell you that it’s much more dangerous and risky to try to be corrupt now,” he said.